Stock status is current as of 4/24/2019 1:52 PMET. Secure the optimal system performance of your portable computing machine with the VisionTek Notebook Memory Module. 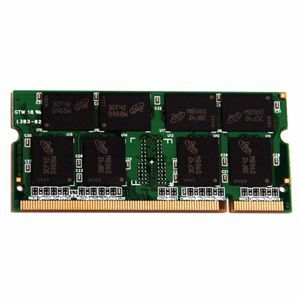 With 1GB of DDR memory, this notebook memory module delivers unmatched memory performance that can handle several applications simultaneously. It runs at 400MHz memory speed, letting you transfer data at high speeds. And with a 200-pin SODIMM interface, you can quickly install it to your motherboard. Grab the VisionTek Notebook Memory Module today!